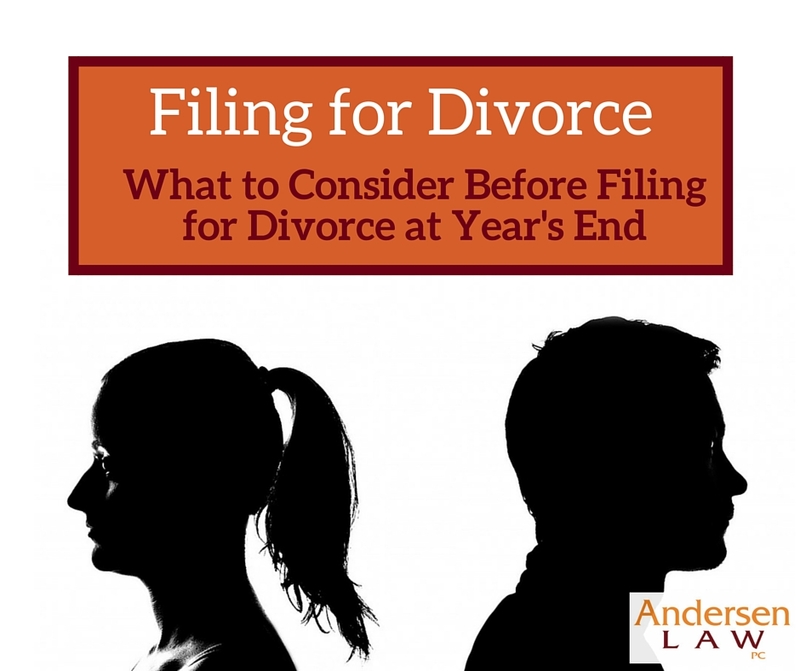 If a person is considering filing for divorce at the end of the year, there are a lot of things at stake, and sometimes a person can end up spinning in circles deciding whether to file this year or next. I always tell my clients that they should live their life first and consider the legal strategies second. This is because it is often difficult to predict how a strategic legal choice will play out in the long run. On the other hand, if you are making long-term choices authentically based on your own values and goals, then the legal decisions will automatically fall into place based on the things that are truly most important to you. And if you’re living life the way you truly want to live it (rather than trying to manipulate everything you do just for a legal result), you will be able to handle the stress of the legal situation in a much calmer and more natural way. This helps the case more than you can imagine. I have also observed the people are not as good at legal tricks and manipulations as they think they are. People who spend a lot of energy hiding money or trying to pull a fast one usually would’ve done better if they had just buckled down and did the fact-finding work and followed the rules. They waste energy trying to trick everyone, and it usually does not turn out the way they planned. 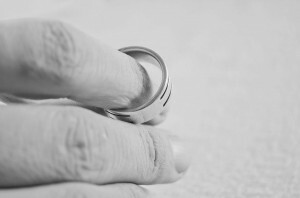 As a family and divorce attorney in Littleton, Colorado, I see a wide variety of cases and a range of ways divorce is handled between not only the couple, but between parents and their kids. There is also a lot of confusion and misinformation out there about divorce stats, and parents don’t always understand how their behavior during and after the divorce affects their children. This infographic from BestMastersInCounseling.com was recently brought to my attention, and it does a great job of breaking down divorce statistics in the United States as well as what parents need to know about getting a divorce with children. Take a look and share it with those who you think could benefit. What are the first steps in filing for divorce? So you decided to file for divorce. What next? In Colorado, the first step is to serve the other parent with a petition, case information sheet and summons. These forms are available on the Colorado Judicial forms website. You cannot serve these forms yourself. You need to use a third party such as the sheriff’s department or a process server to accomplish this. Alternatively, you can file as co-petitioners or have the other party sign a waiver of service of process in front of a notary. As a lawyer, I can counsel you as to which form of service is best, as well as give you advice about how to best complete the forms and what to do in anticipation of the divorce as it makes its way through court. – Should I mediate and, if so, what do I need to do and bring in order to get the best results? – Can I move with the children while the divorce is progressing or after it is done? – What is maintenance and how do I know if it will be paid in my case? – How do we calculate child support if our income is not on the chart or if I do not know the other person’s income? – How do I find out what the other person earns and owes me in the divorce? – How do I act in court? How do I get my evidence admitted and present testimony to the judge? You can see the basic steps of divorce on the Colorado Judicial Branch website, but those instructions do NOT include the legal advice you need to get an optimal result that is fair to you. An attorney, and ONLY AN ATTORNEY, can give you legal advice in your case. I have seen tragic results costing parties thousands of dollars due to proceeding without good legal advice. On the other hand, I have also seen tragic results where parties paid up to six figures to attorneys simply to get divorced when that was not necessary. Both results are equally bad, in my opinion. I am a divorced person myself and am committed to making sure you get a fair result for a fair price. That is why I offer things like unbundled legal services and online videoconferencing for a discounted rate. ANDERSEN LAW PC: When I coach or represent you, I help protect your family, your finances and your future. 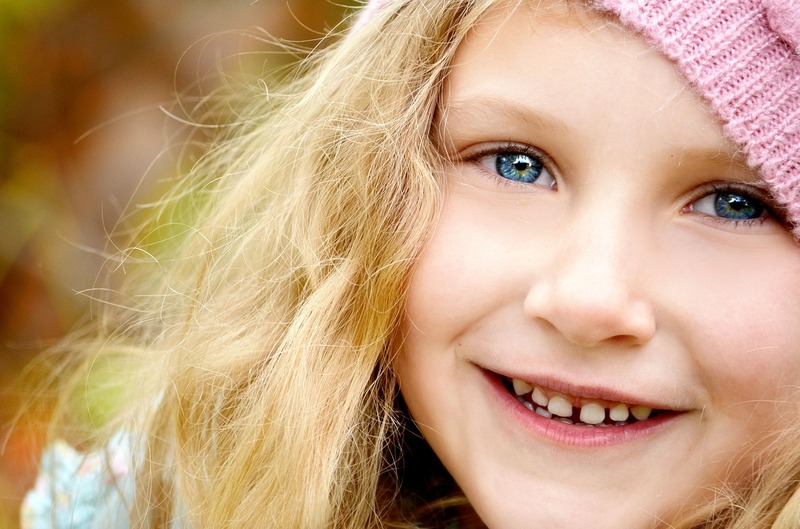 – Get curious about the child’s feelings and point of view. – Ask questions about the child’s perspective (NOT probing questions about the other parent). – Teach the child to use critical thinking skills and draw their own conclusions. ABOVE ALL, focus on making YOUR OWN TIME with your children as positive and valuable as possible. This does not mean being a Disney parent without rules or being a best friend. You still have to be a grown-up parent and do the hard things, but just parent as best you can when you can and remember to have fun too. That will plant a seed that blossoms into a better relationship than a landfill of trash talking could ever hope to accomplish. Strangely enough, this IS legal advice. Colorado law requires you to act in your child’s best interests and also to foster a loving relationship between the child and the other parent. Judges are not afraid to get involved or even limit parenting time when one parent “doesn’t get it” or keeps dragging the children into a divorce tug of war. Andersen Law PC: when I help you write a good parenting plan and act in your child’s best interest, I protect your family, your finances and your future. Mediation can be an excellent way to make progress and, ideally, resolve your divorce proceeding. In an era when the courts are overrun with divorces and have little time to address critical issues about your family and finances, mediation gives you more control over results. However, a mediator does NOT replace an attorney. A mediator CANNOT give legal advice or tell you whether the agreement you are signing is fair to you. That is where a family law attorney like myself comes in to the picture. At the very least, I can review the separation and parenting time agreements before you sign them to make sure they protect your interests. In addition, I can advise you as to negotiation strategies and even participate in the mediation session to ensure you are making the correct legal arguments to optimize your results. I also am very specific about the excellent mediators I refer for each case and client. That choice can make a huge difference and I know the mediators who will work best for you. Mediation and legal representation can work together like hand and glove. Do not neglect mediation, but do not forget to protect yourself with a lawyer’s critical advice. Usually you cannot afford NOT to know your rights. When you hear the term “divorce attorney,” what comes to mind? Do you think of celebrities in the tabloids with their high-profile multi-million dollar divorces, custody battles and “conscious uncoupling”? Maybe you don’t take it quite that far, but you do think divorce attorneys are only for the wealthy. Fortunately, that is just a myth. You do not have to be rich to hire a divorce attorney. Unbundled legal services offer a more affordable way for people to retain legal representation in a divorce. With unbundled legal services for divorce, you pay as you go and only pay for as much or as little legal assistance as you choose to use. This model allows for a reasonable retainer as well. For example, I can coach you through a court conference or hearing so you are well prepared to handle it on your own. I can attend a hearing and withdraw after it is complete, allowing you to follow up on your own. I can also write your pleadings for you, edit your own drafts or review pleadings served on you to devise a strategy. One of the most important things I do is to review a separation agreement and advise clients as to its legal implications, often saving them heartache, court fees and unnecessary disputes in the process. I offer unbundled legal services in the Greater Denver areas in order to make sure my clients get the representation that best suits them, at the price point they can afford. With a new maintenance statute going into effect in January 2014, the topic has received attention in the Colorado press. Maintenance refers to a form of spousal support commonly known as alimony. In a nutshell, it is paid by the higher breadwinner to the lower. A common rule of thumb, roughly accurate based on statute, is that you take 40% of the higher monthly salary minus 50% of the lower salary and that is the payment for about 1/3 to 1/2 the duration of the marriage. Structured properly, maintenance can give two parties, and any children they may share, a similar financial quality of life to that operating during their marriage. Just as the promise of “til death do us part” does not always work out in marriage, the promise of maintenance is not a sure thing. Unfortunately, if the parties hit any of the common snags, the result for the recipient is a phrase I coined, “every penny you get is worth two cents of grief.” Often the cost of enforcing a maintenance agreement exceeds the value of the missed payments. This makes maintenance a dangerous promise for those who planned their budgets around the promise of payment. Circumstances for the paying party can be similarly harsh — more than one party has found himself or herself facing a contempt proceeding, and even jail, due to unpaid maintenance. With interest accruing at 8% for each missed payment, the potential penalties are staggering. 1. MYTH: Once awarded, maintenance is the same as money in the bank. TRUTH: Sadly, maintenance awarded is not the same as maintenance paid. Many times a party falls into hard times or simply chooses not to pay. This is not the court’s problem — to go out on its own and enforce unpaid maintenance. The recipient must enforce his or her right to payment. This may require hiring an attorney. 3. MYTH: Maintenance is the preferred and best way to settle unequal earning between the parties. TRUTH: A little known provision of Colorado law instructs that a court should try to settle unequal financial matters by a division of property FIRST and then go to maintenance. In other words, it is preferred that the better earner a larger share of marital property to the lower earner instead of paying monthly. Many parties agree this is better. As months go on and on, paying maintenance is less and less appealing to the paying party. A division of property is a one-time act and allows for investment and growth of the funds. It enables the parties to lead separate lives. On the other hand, there are bankruptcy and other risks that must be considered. 4. MYTH: The new statute makes maintenance mandatory. TRUTH: The new statute is not even a presumption that maintenance must be awarded. The statute simply sets forth the general formula and factors a court must consider on the record in deciding whether to award maintenance and how much to award. Family courts retain discretion to order as much or as little maintenance as they choose as long as their decision is reasonably supported by the record and not an abuse of discretion. 5. MYTH: Real men don’t get maintenance. TRUTH: Many men seek and are awarded maintenance. Maintenance is based on respective earnings and earning power. If the woman is the higher earner, she is the party who may end up paying. Under the new formula, the court must make a ruling on maintenance regardless of whether the higher breadwinner is a man or a woman. 6. MYTH: Once maintenance is paid to you, you never have to pay it back. TRUTH: Once a party files a motion to modify maintenance, the court has the right to look at all payments made after the motion is filed and even to make the recipient pay back amounts paid. This can even be the case when a party has gone to court and enforced unpaid maintenance or garnished wages while the motion to modify is pending. 7. MYTH: I lost my job and am broke so I don’t have to pay maintenance. TRUTH: In order to be absolved of your obligation to pay maintenance, you must file a motion to modify the order requiring you to pay maintenance. If you did not file a motion to modify, you are in default and may even be held in contempt. 8. MYTH: The best way to get back maintenance is to go to the courthouse file your own criminal contempt motion. TRUTH: A contempt motion is a very technical and complicated motion. Moreover, there are options for both remedial and criminal contempt motions with subtle and important differences. Both have the possible consequence of jail but for different reasons. In both cases, the inability to pay may be a perfect defense. Filing the wrong contempt motion, or filing a contempt motion rather than using other types of enforcement, can drastically increase your burden of proof and decrease your likelihood of winning. A brief consult with an attorney should steer you in the right direction and guarantee you enforce the unpaid maintenance in the best and most successful way. 9. MYTH: Parties can easily handle the maintenance issue on their own by checking a box on the court’s JDF “separation agreement” form. TRUTH: Maintenance has tax and other consequences the parties may not even realize. The paying party gets a tax deduction and the receiving party pays tax. That being said, if not handled properly, the IRS may ignore a maintenance agreement despite an agreement of the parties. Even the Colorado legislature was confused — putting maintenance options in their statute that are contrary to federal tax laws that recapture maintenance paid over too short a period. In other cases, the parties may have opened the door to maintenance by writing words on a separation agreement without knowing what those words mean in a legal sense. More than one client has been shocked to learn they waived maintenance or left the door open to maintenance by writing the wrong word or checking the wrong box. I strongly urge parties to at least consult an attorney and tax accountant before agreeing to maintenance on their own. 10. MYTH: You cannot hire an attorney to help with maintenance issues without paying a huge retainer. TRUTH: With unbundled legal services, you can hire our firm to advise you on many aspects of maintenance in as little as an hour or even a half hour without paying a retainer or requiring us to enter a general appearance in your case. I strongly urge you to at least call for a phone consult on maintenance issues before signing a separation agreement or seeking to enforce unpaid maintenance. My work number is 303-674-4414, my email is beth@jandapc.com and my cell phone 303-808-4794 is answered by me 24/7. Settlement is almost always the most efficient and satisfactory way to resolve a case. That being said, the best way to prepare to settle is by preparing to try the case. The same facts and legal analysis play roles in both processes. The main difference is that trial is almost entirely adversarial. Settlement negotiations (while also adversarial) leave room for creative and mutually-beneficial compromise. I suggest taking the following 10 CONCRETE STEPS to make settlement both likely and advantageous. 1. Keep as much as possible on the table. Don’t settle piecemeal. More moving pieces mean more possibility to create something that benefits everyone or, at least, something mutully acceptable to both parties. 2. Think creatively. Often BOTH parties may want something they didn’t think of initially. Creativity helps everyone and this helps you get the results you need. 3. Endeavor toward a professional working relationship with the other party. If petty fighting and revenge tactics helped my clients get what they want and neeed, this blog would be teaching those tactics. They don’t help; they hamper. 4. Prepare your sworn financial statements, supporting schedules, mandatory disclosures, and proposed separation agreement as quickly and accurately as possible. If you have children, attend your parenting class and prepare a parenting plan as well. You can’t get divorced in Colorado without this critical information. 5. Separate emotional decisions from economic decisions. Be prepared to make sound economic decisions that are not based on sentimentality. For example, decide whether to sell your home based on a cost benefit analysis and not whether the kids or you love the neighborhood or can’t imagine moving. In this economy, this is one of the toughest lessons to learn. 6. Work cooperatively with your attorney. You would not want to come out of anesthesia to tell your sugeon how to remove your appendix. Same thing with attorneys: we know what we are doing. At some point, you are going to have to let go and trust us. You pick the goals; we know the strategies to achieve them. 7. Respect the court, the mediator, the legal process, the attorneys and, hard as it may seem, the other party. Rather than trying to dictate how these processes and people should function in your opinion, pay attention to how they actually do work. Use this knowledge to negotiate the process. 8. Make a rational decision as to whether you want or need your attorney at the mediation. You have options ranging from going it alone to having the attorney on standby on telephone to having the attorney at your side at the mediation. Work with your attorney to assess your skillset and the risks at stake. This is one area where you cannot afford to make the wrong choice. 9. Pay for a great mediator. This is another situation where you cannot afford to cut corners. A poor mediator is a waste of money because they won’t be able to close the deal. Your attorney should be able to help you choose a mediator who is the right fit to get you an advantageous settlement. 10. Be prepared to compromise if necessary to settle. Know your goals but also know your bottom line. With parenting issues, you will have chances to see thing play out and revisit. With economic decisions, this is not a situation of making you both “happy” but rather making a reasonable compromise. At some point, fighting for “knives, spoons and forks” is not worth your time or money. Unless it is a critical “bottom line” issue, you need to be prepared to let it go. My client and I wait for a woman to clear her bundle of papers from the thick wooden Petitioner’s table. The woman glances nervously at us and then at the gray-haired, black-robed judge, seated high at his mahogany bench. The woman’s hands shake and her eyes tear slightly as she sweeps her muddled heap of papers into her canvas bag. In legal terms, she is “pro se” (pro – SAY) meaning a person who appears in court without an attorney to represent him or her. The judge has just dismissed her case. The woman and judge appear equally frustrated. Despite her pleas, the judge accurately stated that he had no choice but to dismiss the case. The pro se woman’s handwritten pleadings were not filed on a timely basis and were riddled with errors requiring dismissal. Most people would not consider wandering into a hospital emergency room to perform surgery on their own child without guidance. In fact, most people seek qualified help to fix their furnaces and their cars. And yet these same people flood our courts as pro se parties when it comes to family law cases. Unrepresented and uneducated on the nuances of the law, they argue cases and file pleadings on their own, allowing courts to decide the most critical issues in their lives: how much time they will spend with their children, where their children will live and go to school, how their retirement accounts and debts will be divided, whether they must sell their home, whether they can keep their job or must quit to earn more money. An increasing number of people are attempting to secure results without one of the most fundamental components of our legal system, the attorney. To a degree, I don’t blame them. Attorneys seem expensive. There are plenty of attorney jokes letting us know what you think of us as a profession. I am aware that some attorneys are accused of “churning” up the ire in a divorce and thereby their own legal fees. But there ARE good attorneys who are ethical and fair. I have met plenty of them. I like to think I am one of them. The biggest problems arise when failing to hire an attorney is more expensive than hiring one. The risks are simply too great – the court deserves to hear a case fully and accurately, your child deserves a full and fair development of the record, you deserve the benefit of astute advice and advocacy when it comes to your family and your livelihood. I am an attorney and I am here to tell you there is a reason I research, attend trainings, get to know the judges and my co-attorneys, keep up on the latest state of the law. There is a reason I spent three years in law school and many more practicing a profession suited to my skills as a writer, researcher, negotiator and public speaker. Like doctors and nurses, electricians and accountants, attorneys are trained to help people. Judges frequently express the relief they feel when there is an attorney helping to usher the case through the process, as pro se parties often cannot do despite valiant efforts. As my own oral argument commences, I forget about the pro se. I do not notice her taking a seat in the courtroom, watching intently as I advocate hard on my own client’s behalf. My client does well. The opposing attorney and I argue legal points for the judge, but also work together to settle many issues to the clients’, and their children’s, mutual benefit. That’s a true story. And it was not the first or last time I helped a party whose case was dismissed, or about to be dismissed. Men, women, old, young, every type of litigant: even sharp business professionals who know their way around a balance sheet and yet had their QDROs rejected by the court. Almost all family law attorneys (including me) offer free initial consult visits. With arrangements like unbundled legal services, mediation and collaborative work with a good attorney who treats you as a partner, you have more options than you think. And, perhaps, more at risk than you realize if you try to go it pro se.